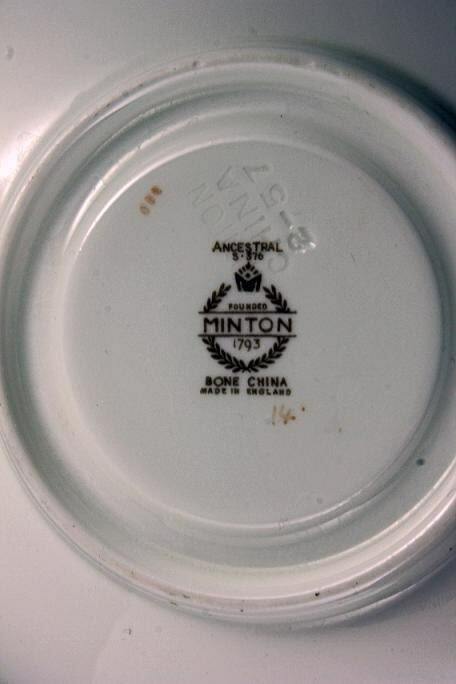 A Minton China teacup and saucer in the lovely Ancestral pattern S376. 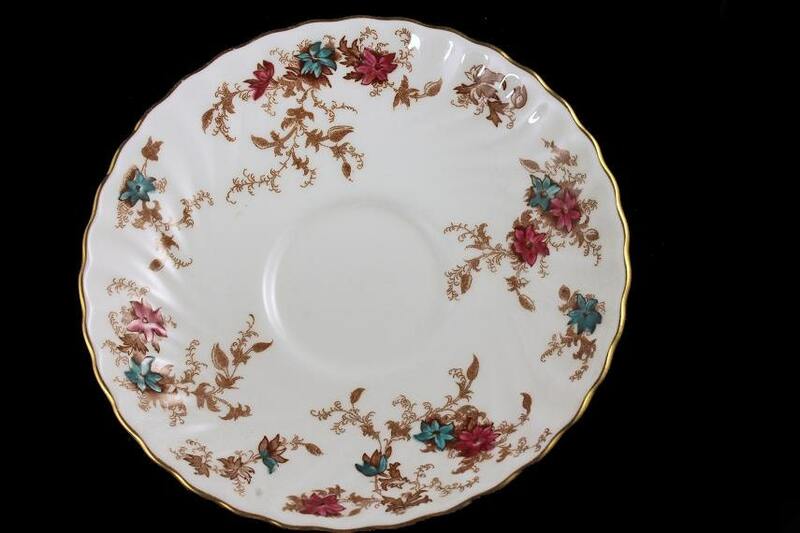 The pattern consists of red and blue flowers and brown vines on a white background. 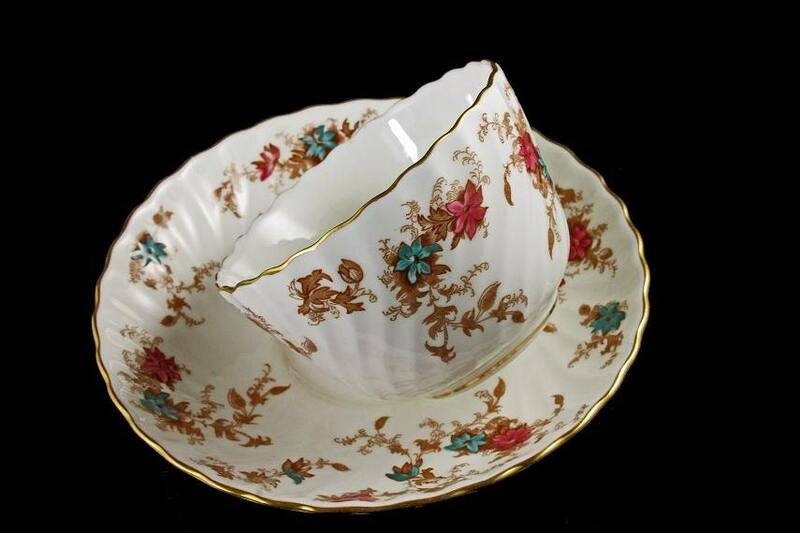 The cups rim, handle, and foot along with the edge of the saucer are trimmed in gold. 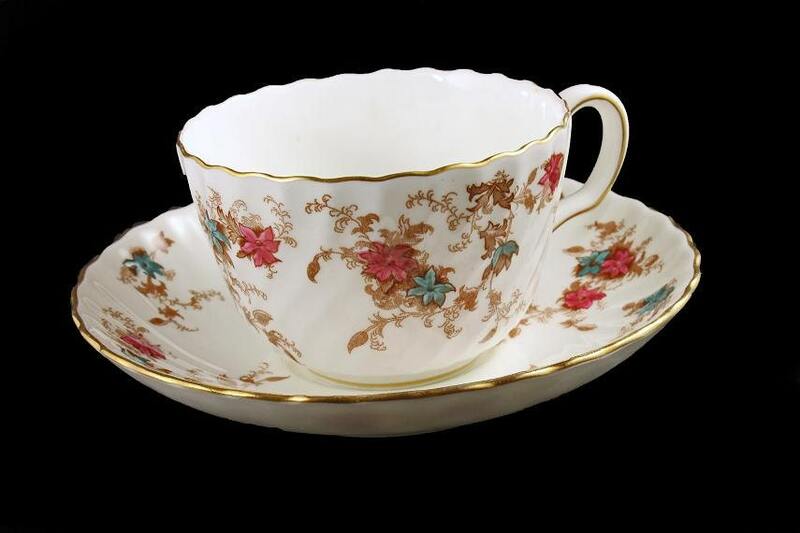 The cup and saucer are scalloped. This would be a fantastic addition to any teacup collection. 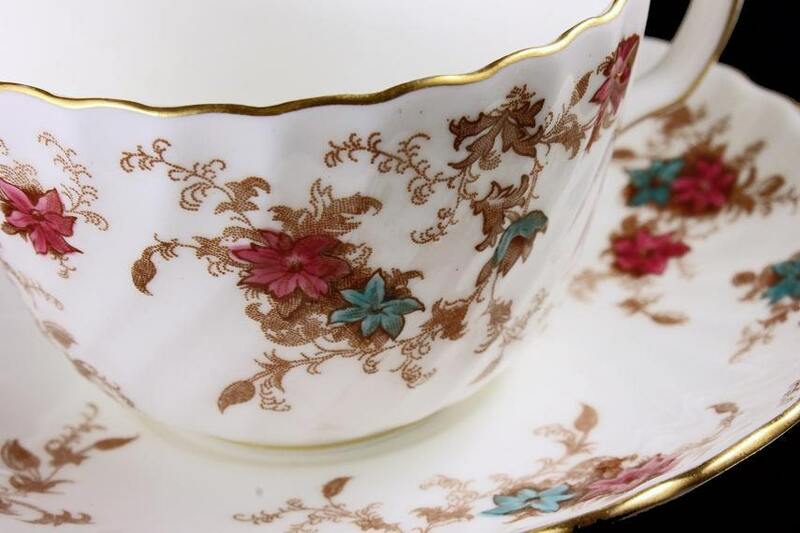 What a great way to enjoy an afternoon break with a cup of tea in this delightful teacup. This set is in like new condition. There are no scratches, chips, cracks, or repairs. This is a showcase piece. This is a great set for the collector. It would make a marvelous gift for a wedding, housewarming, holiday, or special occasion.